The Congreso was a valuable experience for many reasons. Lucinda learned about the nutritional value of amaranth to help her in her efforts to combat malnutrition. She learned about processing, which she will need very soon. She also learned about preparing new products for the local markets in Ecuador and for healthy school lunches, breakfasts and snacks. Anyone traveling in Ecuador is welcome to stop in Cañar to taste Lucinda’s amaranth products. During the Congreso, Lucinda as also able to give a talk about the nutrition education program “Niños saludables Futuro saludable” that Friends of Ecuador has helped several times in the past. Probably the most important aspect of the experience is the many contacts Lucinda made among producers, scientists, and chefs who are willing to help her as her amaranth production grows. We all see amaranth products in local stores here in the U.S., but Lucinda’s efforts in Amaranto Kuri Muru (Amaranth, the Golden Grain) is expressly for local health, food security, and food justice in the Cañar area. I would like to thank all of the members of Friends of Ecuador, all of the contributors, and supporters who made this experience possible. The benefits derived from your generosity will be felt in Cañar and beyond for many years. 3 Comments on "FOE Support for Mushak Yuyay Participation in Amaranth Congress pt. 1"
Thanks, Josh, for this wonderful update. This kind of encouragement to socially aware local entrepreneurs is a great use of Friends of Ecuador funds. 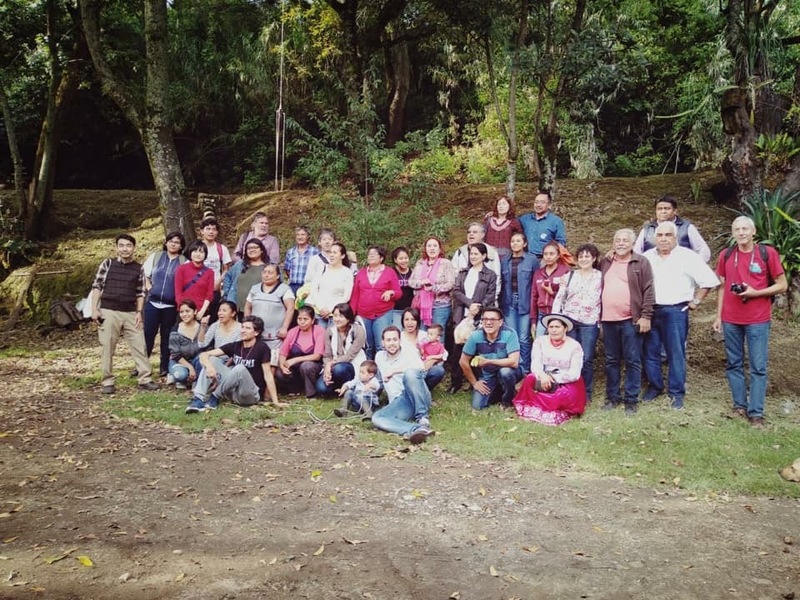 I’m proud to be part of this long term effort to keep connecting with positive action-oriented folk in El Pais Amazonico! Tad Baldwin, 63-65, Atuntaqui and Quito credit unions and handicraft coops. And thank you, Tad Baldwin, for your interest. I see that you were there and gone before I even got Ecuador. I was there 67 to 69. The most gratifying part for me is the opportunity to reconnect with the community I was in, and follow up on what we started.